Currently and in my recent past, I gravitate(d) toward larger statement pieces when it comes to jewelry, especially necklaces. 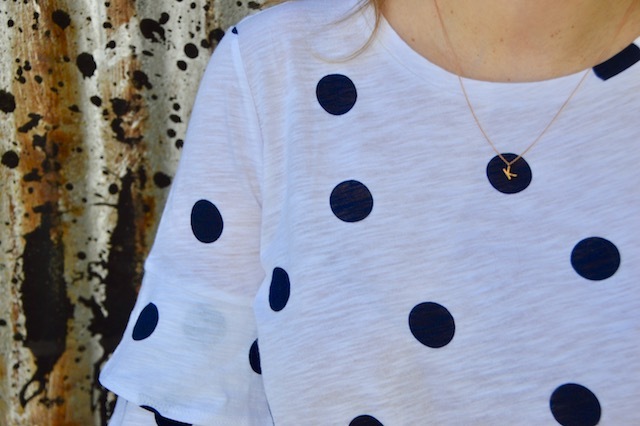 Lately, however, I've been wanting to get back to what I use to really enjoy wearing, which is smaller, classic, more understated pieces of jewelry. 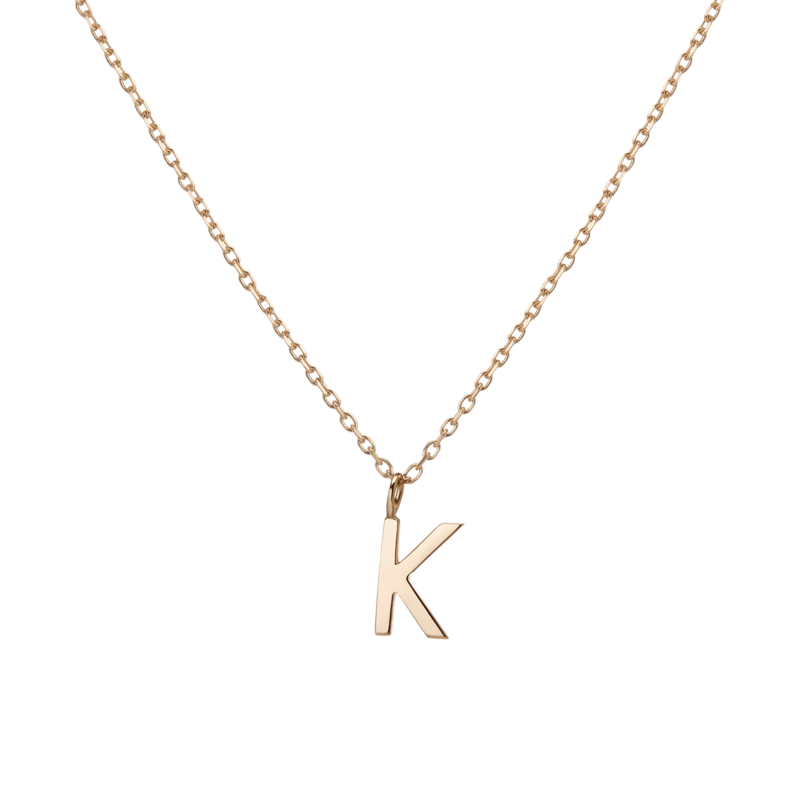 AUrate is just the place to find this type of smaller, classic jewelry, so you can imagine how excited I was to collaborate with them and share some of my opinions about their fine jewelry, including this cute letter necklace with my initial "K" on it. One of the things I love about AUrate is the vision of the company. AUrate sells fine jewelry without concessions. What this means is that they use real gold at a fair price and everything they use is ethically sourced. Another highlight of the company is that their jewelry is all made in NYC by master craftsmen. I love to support companies that make products in the USA, so this is a huge selling point to me. Also, AUrate gives back to the community and supports literacy programs in the US. It's so refreshing to see a company make such beautiful products and simultaneously embrace these aforementioned values. 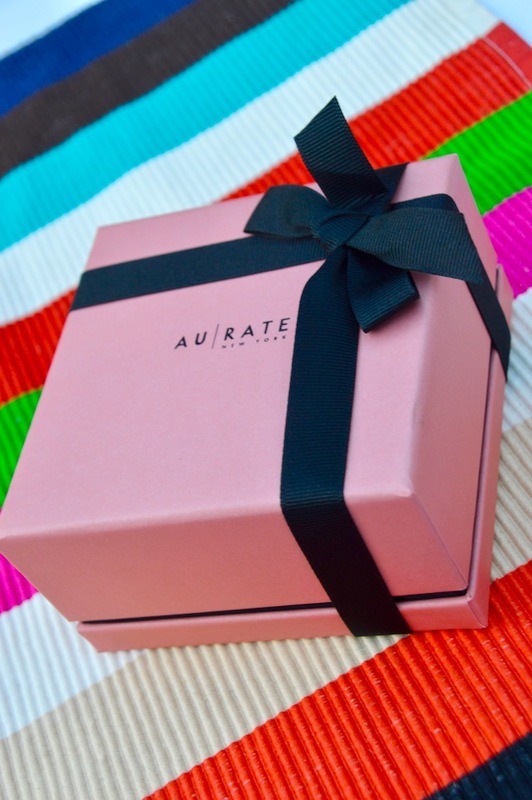 On the more superficial note, I really love the beautiful packaging that AUrate uses for their jewelry. 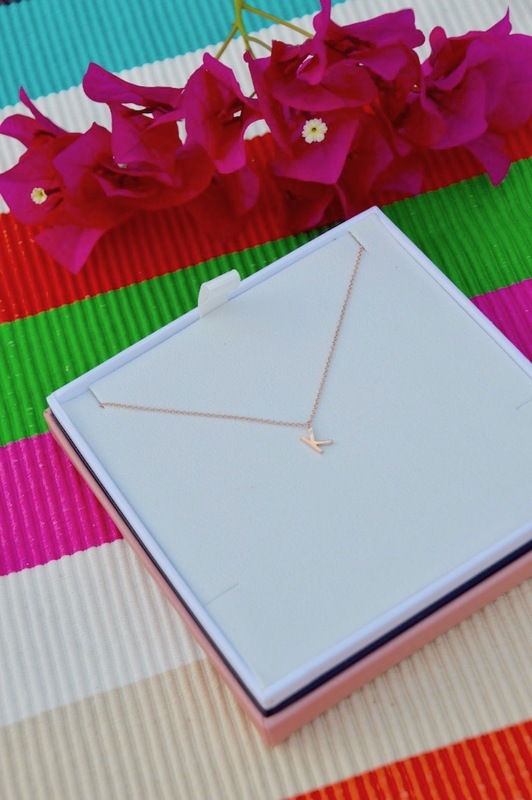 My letter necklace came in a beautiful gift box that makes for a lovely presentation. If you are looking for a gift that will surely put a smile on the recipient's face, AUrate would be a great choice! I also love that their motto is stated on the inside of the box, just as a little reminder of the company's philosophy. It's definitely refreshing to see something that's both beautiful on the inside and the outside! 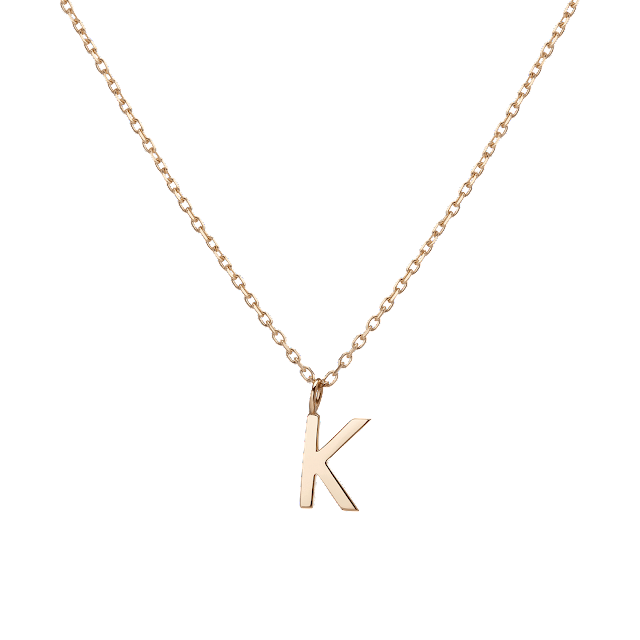 Last of all, the letter necklace I received from them is just what I was looking for in a petite necklace that can be worn for any occasion. I ultimately decided on getting the necklace in rose gold, to match a couple of my watches, but I had the option of choosing from white and yellow gold as well. I really like that AUrate's gold necklaces can be purchased in all three colors of gold because a girl likes to have options! Overall, I was really happy with the quality and craftsmanship of the necklace and, unlike the statement necklaces that I mentioned earlier and sometimes don, this necklace that will never go out of style and will last an lifetime while still looking brilliant and fashionable! I like your polka dot tee too. I was looking at a similar one in store here in a sale and I can't get it out of my head, your post is making me think I need to go back and see if it's still there! What a sweet little necklace! I have been adding more delicate jewelry to my collection, as well. 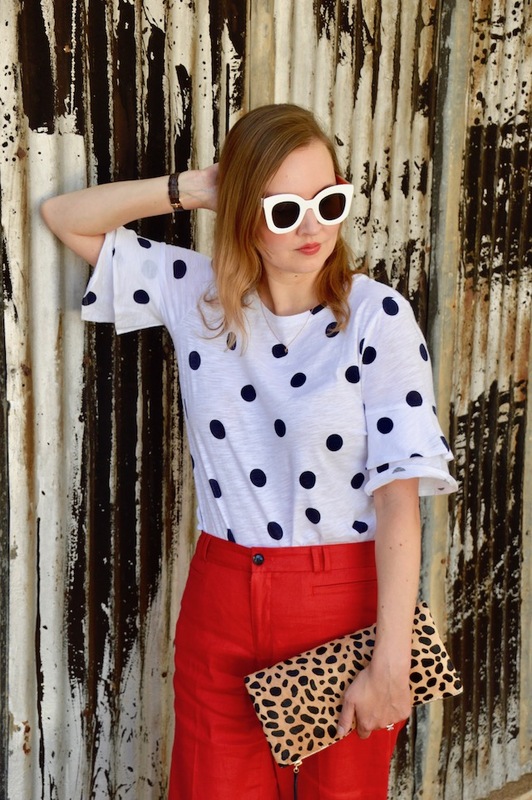 Adore your polka top, especially paired with your red pants!